A story shared on Facebook uses selective TV ratings data to make the misleading claim that CNN was not one of the 10 most watched cable networks in 2018. A conservative website takes aim at CNN by misrepresenting recently released 2018 year-end TV ratings data. But that claim is based on incomplete information. 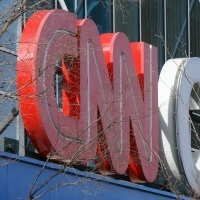 CNN did not make the Top 10 list for basic cable networks in terms of prime-time viewership in 2018, according to Nielsen ratings data reported by Adweek and cited by AmericanLookout.com. CNN ranked No. 11 in prime time, which is from 8 p.m. to 11 p.m. The network did, however, make another Top 10 list for basic cable networks: It ranked No. 7 for total-day viewership (which measures viewing over 24 hours, from 6 a.m. to 6 a.m.). CNN averaged 706,000 total-day viewers in 2018, down 9 percent from 2017. Even Fox News, which ranked No. 1 in both prime-time and total-day viewers in 2018, saw a 5 percent drop in its average total-day viewership from the previous year. AmericanLookout.com included the prime-time rankings from the Adweek article, but omitted the part about total-day viewers, which clearly said “CNN earned a strong No. 7 ranking.” MSNBC, which gained viewers in both measurements from 2017 to 2018, ranked No. 2 for total-day viewers and No. 3 for prime time. Facebook users replying to the story on conservative pages called for CNN’s demise, denouncing it as “fake news” — a term popularized by President Donald Trump. Editor’s note: FactCheck.org is one of several organizations working with Facebook to debunk misinformation shared on the social media network. Since 2015, FactCheck.org also has collaborated with CNN’s “State of the Union” to produce online fact-checking videos. Katz, A.J. “2018 Year-End Cable Ranker: Fox News, MSNBC, Hallmark Channel Are Among Top Networks to Also Post Audience Growth.” Adweek. 3 Jan 2019. LaChance, Mike. “RATINGS DISASTER: CNN Doesn’t Make Top 10 Of Most Watched Cable Networks In 2018.” AmericanLookout.com. 3 Jan 2019. The post Story Cherry-Picks in Assessing CNN Ratings appeared first on FactCheck.org.